Big spending Catalan Dragons will be looking to kick start their season after going 20-4 in last weeks opening round defeat to Castleford Tigers. In a game that they were out classed for the majority, Catalan Coach Steve McNamara will be looking for his stars to perform in the south of face as they welcome Huddersfield Giants to the Stade Gilbert Brutus. 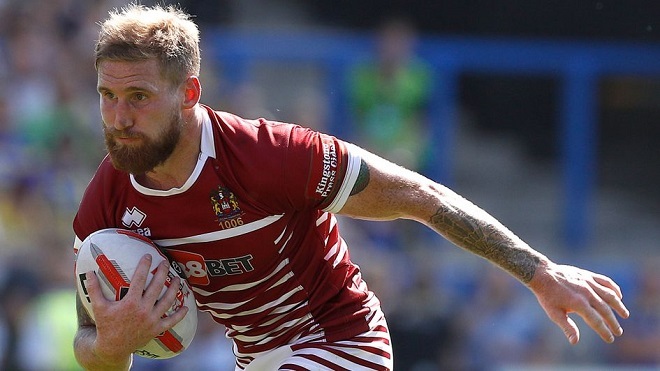 Close season signings Sam Tomkins (pictured), Matty Smith and Matt Whitley will make their official home debuts as McNamara names only one change from last week’s squad as youngster Arthur Romano comes into the match day 19 in place of Papua New Guinea skipper David Mead who is unavailable due to Family reasons. That means former Australian international Greg Bird and winger Jodie Broughton still haven’t recovered from their respective injurie issues. For their visitors, Huddersfield Head coach Simon Woolford will also be looking for a response from his players after their surprise opening loss to Salford Red Devils last weekend. Still without club captain Leroy Cudjoe and former Golden boot nominee Jermaine McGillvary through injury and missing powerhouse Tongan forward Ukuma Ta’ai due to his ongoing visa issues, boss Woolford has left out half back Lee Gaskell in favour of the returning Aaron Murphy, while youngsters Sam Hewitt and Izaac Farrell have also been called into the squad. Saints make changes for trip to Catalan! Huddersfield Giants make changes as the Tigers are in town. Giants make two changes as they welcome St Helens to the John Smith stadium.